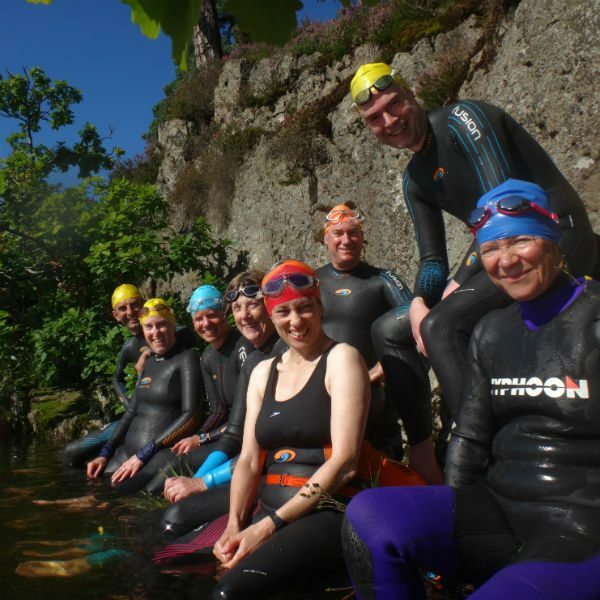 Get immersed in nature with us on a wild swim down the river, past the ancient Galava ruins and fascinating wetlands opening up into wonderful lake views. 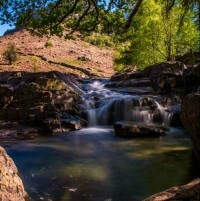 This is one of our favourite Lake District swimming spots, providing you with the fascinating and relaxed experience of swimming wild. Come along, suit up, go with the flow and watch the wildlife go by. 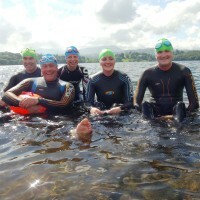 Swim Ability & Fitness Level: Suitable for beginners & intermediate outdoor swimmers. Emergency Contact Persons Name & No. 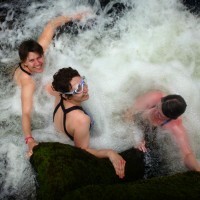 At Swim the Lakes there is nothing we like better than floating down rivers. 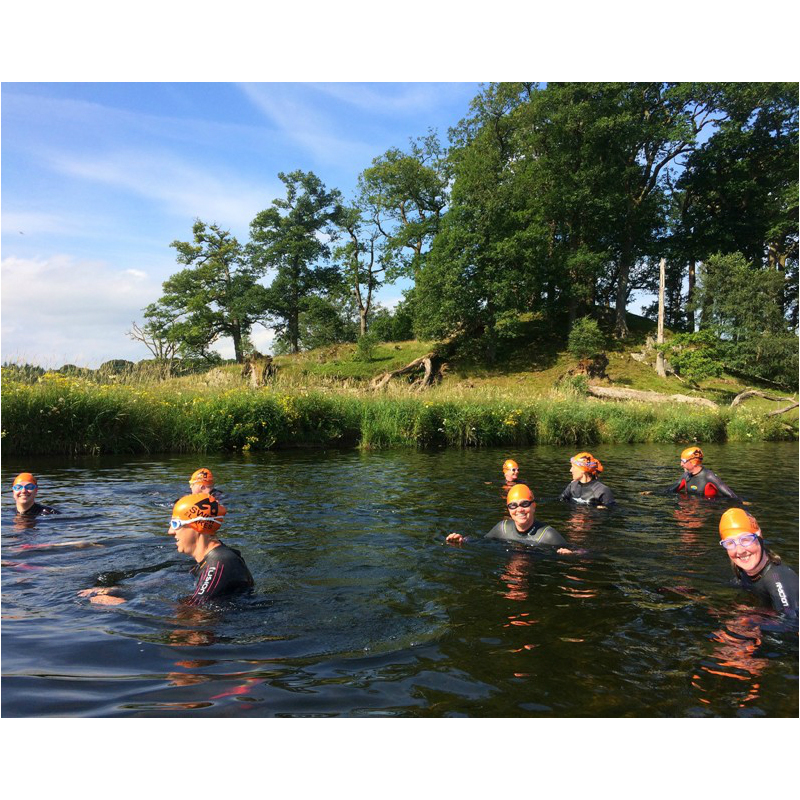 This is one of our favourite Lake District wild swimming spots, providing you with the fascinating and relaxed experience of swimming wild. Come along, suit up, and go with the flow. 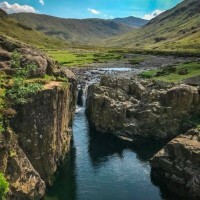 We meet at our base in Ambleside for a briefing and then take the short walk to our secret swimming river venue, steeped in Lakeland history and home to the kingfisher, otter and pike! Once in the river the swim takes us along banks of bulrushes and reeds, while we look out for the plentiful wildlife that share this quite corner of the Lake with us. On a quite morning, it is quite possible to float past grazing deer to the accompaniment of buzzards hunting on the nearby fell. Close encounters with our growing otter population whilst wild swimming are now yearly occurrences; we always hope to be among the lucky few. 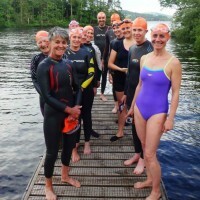 Swim Ability & Fitness Level: Down the River Without A Paddle is perfect for beginners & intermediate outdoor swimmers. 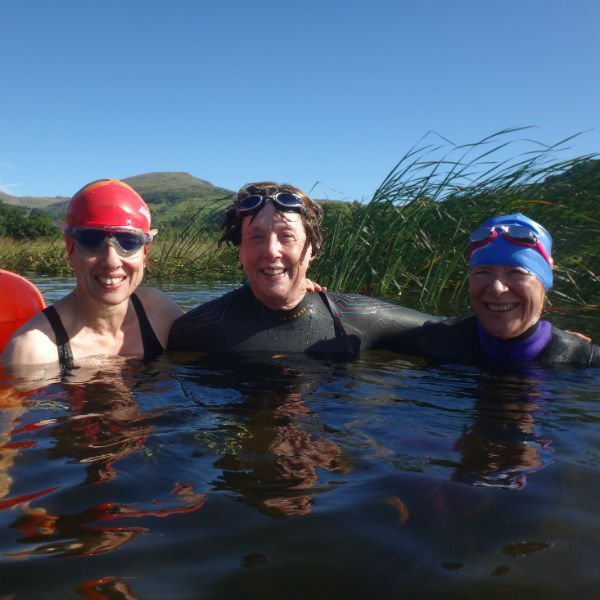 For this wild swim journey the emphasis is on exploring and enjoying the environment, but you do need to be a competent swimmer who can swim 1000m in a pool, front-crawl or breaststroke. Brief Itinerary: We meet at 9.00am at our Ambleside shop. Full details will be emailed after booking. Non- swimming friends are welcome to explore the shore paths and trails around this beautiful area while we take our swim. 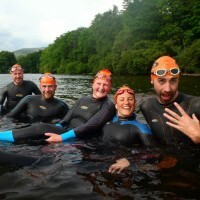 Just a quick email to say I really enjoyed the river swim into Windermere you took me and Will on last Thursday. I have been bragging about it ever since and everyone thinks I’m mad. Mike . 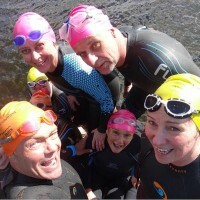 Had a brilliant mornings swim with a lovely group of people. Thank you. 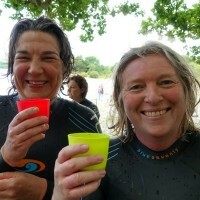 Thanks for such an amazing time on our swim yesterday morning – it was just so special. I will tell anyone I know about it and recommend you to them. And you were both fantastic guides making us feel safe and challenged, but it was all done in such an encouraging and gentle way. I just wanted to say thanks for the river/lake swim this morning – I thought it was great and really well run. Thank you. How fit do I need to be for the taster session? You do not need to be super fit or fast, but you do need to be a confident swimmer who can swim at least 1000m in a pool in one session. How far will we swim and walk? 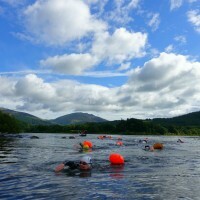 Its a short 15min walk to our get-in point, the swim is 1000 – 1200m. It could be sunny and still, it could be windy and raining, but we do know you are going to have a great time. Please check the weather forecast before you travel and bring suitable outdoor clothing and footwear. 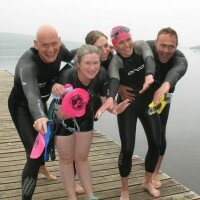 Yes, Wetsuit hire is included in the cost and will be given to you after arrival. We have sizes from XS to XL mens and UK6 – UK20 ladies, please ring us to discuss your hire if you are concerned about sizes. 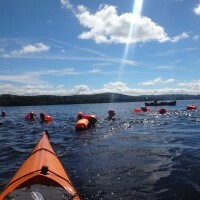 The lakes vary in temperature between 14-18 degrees for this time of year depending on the local weather conditions. 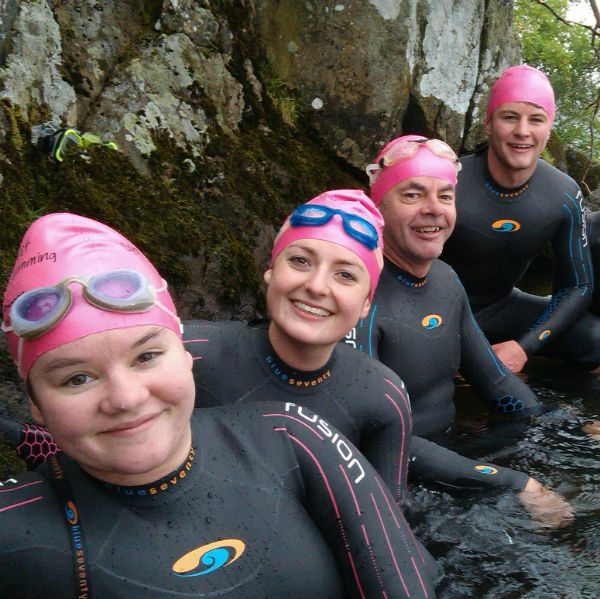 Wetsuits: Swims are in wetsuits for this wild swim. 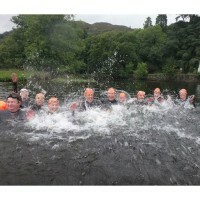 Wetsuit Hire: Wetsuit hire is included in the cost and will be given to you after arrival. What to bring: Swimming costume or trunks (we recommend having this on already underneath your clothes for ease. ), swim cap, clear goggles (if you have them), big towel, warm clothes for changing back into after your swim, appropriate clothing for the weather, bag to carry your things to the shore. 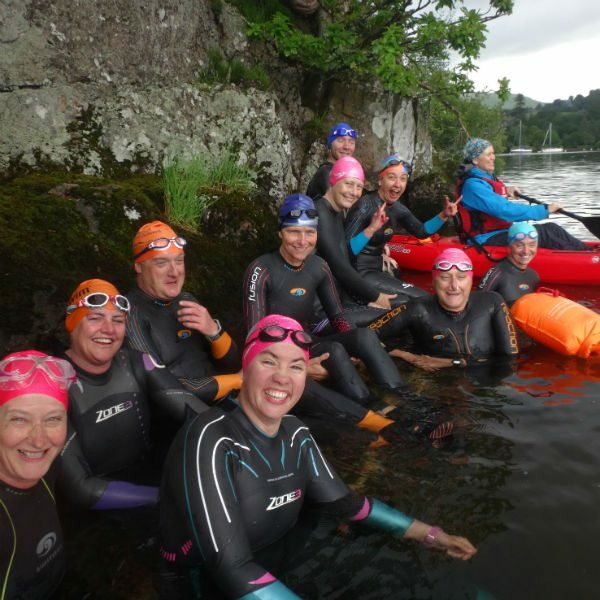 Parking: Use any of the car parks in Ambleside, they are all within easy walking distance of Swim the Lakes on Compton Rd. Parking fees are not included in the cost.